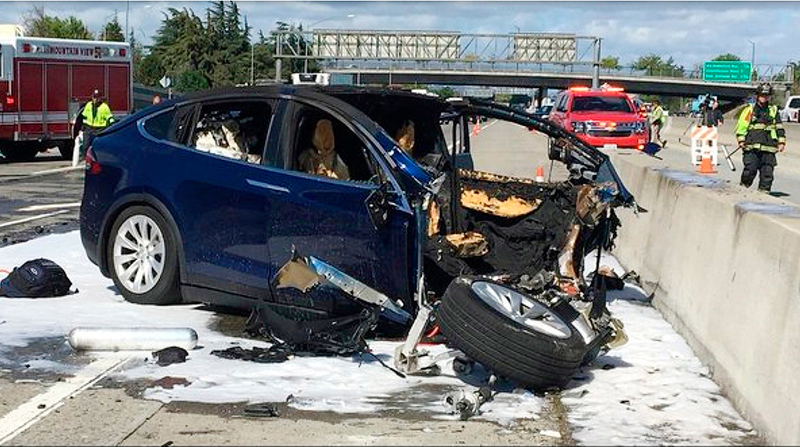 The test results released Nov. 15 come after several highly publicized crashes involving Tesla vehicles that were operating on the company’s system named “Autopilot.” The National Transportation Safety Board is investigating some of the crashes, including a March fatality that involved a Model X that struck a freeway barrier near Mountain View, Calif.
AAA said the vehicles drifted out of lanes and hugged lane markers, struggling with moderate traffic, curved roads and streets with busy intersections. Three of the four would have failed to avoid a crash when the vehicle ahead of them changed lanes and a simulated stopped vehicle was ahead. “As a result we had to take evasive action,” Brannon said. The vehicles’ owner manuals say that spotting a stationary vehicle after a lead vehicle changes lanes is a design limitation for the systems, Brannon said. But he said researchers expected the vehicles to see stopped vehicles and react in time. Tesla said that it reminds drivers to keep their hands on the wheel. “Tesla has always been clear that Autopilot doesn’t make the car impervious to all accidents,” the company said in a statement earlier this year. A message was left Nov. 15 seeking comment from Volvo.